We prospectively studied the pharmacokinetics of intravenous Chloramphenicol succinate (CS) in children (age 6 months-14 years) with culture proven typhoid fever (n=30) and non typhoidal illnesses (n=10). CS was administered in three different dosage regimens (50, 75 and 100 mg/kg/d-q 6 hourly). Liver function tests were monitored. Plasma trough and peak chloramphenicol concentrations were measured by HPLC analysis after 42 hrs. The 50 mg/kg/day dosage schedule was terminated midway through the study, as blood levels were consistently low and two patients with typhoid relapsed. children with typhoid has significantly lower clearance of CS in comparison with those with non-typhoidal illness (0.29±0.1 versus 0.5±0.37 1/kg/hr, P 0.05). There was no significant difference between mean peak and trough concentrations of chloramphenicol on 100 mg/kg/day and 75 mg/kg/day in children with typhoid. However, two children on 100 mg/kg/day dosage developed trough concentrations >20 mcg/ml. No correlation was found between CS clearance and serum bilirubin, SGPT (alanine transaminase) and alkaline phosphatase. 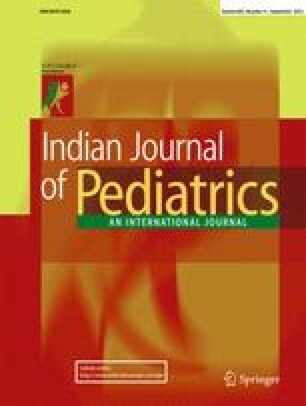 Our data show altered clearance of CS in children with typhoid and suggests that 75 mg/kg/day may be a safer dose in children with hepatic dysfunction in typhoid.